Workers’ compensation claims in Florida must be made in a very specific manner, but if one does so, most claims are approved. However, if you do wind up receiving a notice of denial, it does not necessarily mean that your claim was considered bogus or otherwise deceitful, as many worry about. There are several reasons why Florida’s workers’ compensation system might deny your claim, and the good news is that many of them are surmountable, with the right timing and the right help on your side. A large portion of denied workers’ compensation claims in Florida are turned away because of some issue with the manner in which they were submitted. 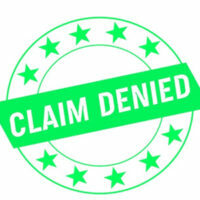 For example, some claims are not submitted in time, especially if there is some issue with receiving medical treatment or if there is delay or misunderstanding in communicating with the insurance company. Florida law places a two-year statute of limitations on filing a workers’ compensation claim, and if for some reason this time passes without your filing, any attempt to collect benefits related to that specific injury is forever barred. It is also common for claim paperwork to be incomplete – for instance, missing certain medical records or specific authorizations. Without the required paperwork, the insurance company can only attempt to make a judgment based on what is present – they will generally not ask for more information. The impetus is on the claimant to ensure that all the relevant items are there, so if they are not, the company will act accordingly. Most technical errors except for statute of limitations problems can be addressed on appeal, though it is always best to consult a professional to be certain about your case. The other, somewhat more difficult possibility, is that your claim was denied because your employer suspects you either were not injured as you claimed, or that you were injured outside of work. This can very easily lead to rash actions – no one likes being accused of being untruthful – but the proper remedy for this is to appeal the decision and provide more complete evidence. This can mean more medical records, possibly from an independent medical exam, or witness statements, among many other types of evidence. Appeals, called Petitions for Benefits in Florida, must be filed in what can be a very short time – usually 30 days – with the Office of the Judges of Compensation Claims (OJCC). Once filed, the judge will very often urge the parties toward alternative dispute resolution, scheduling a mediation conference or facilitating some other type of potentially constructive communication. If this is unsuccessful, a hearing before the OJCC will be held, with a decision being given within 30 days. While everyone obviously hopes for their claim to be approved the first time around, workers’ compensation appeals can be successful. If you need help preparing for yours, consider calling our Orlando workers’ compensation attorneys at the Hornsby Law Group. We are happy to sit down with you and try to help you figure out how such a sensitive matter can be handled to increase the odds of a positive outcome. Call us today to set up an initial appointment.